Orbie for Orphans is a Christian non-profit organization formed in 2011 to bring biblical truth to orphans, foster children, and vulnerable children around the world. Orbie for Orphans is led by Carl and Jill Toth. After many mission trips to orphanages and the adoption of a little girl in China, the Toths saw a great unmet need in the global orphan crisis. Believing that the deepest need of these children is to know God and His heart, the Toths set out to create a tool that churches, missionaries, and frontline workers could use to apply hope from God’s Word to their pain as deeply wounded, vulnerable children. Through research on the frontlines, Orbie founders found that using oral/visual methods greatly enhanced retention and life change. Orbie for Orphans has developed and field-tested a multi-sensory curriculum kit called “The One Who Stays” in eight languages and 27 countries. The result? It works and the demand is great for more! Orbie for Orphans is a 501(c)(3) founded to bring the light of Christ into the dark world of orphans and foster children. Carl Toth was a Business Analyst with Dun & Bradstreet and a pastor for 25 years before forming Orbie for Orphans in 2011. For many years he has led numerous mission trips and worked with orphans in Venezuela, Mexico, Ecuador and Haiti. In 2010, Carl and his family flew to China to adopt a little girl they named Collins. God used this experience to redirect him to the mission of Orbie for Orphans. He has his BSBA from Rochester Institute of Technology and his Masters of Divinity from Southwestern Baptist Theological Seminary. 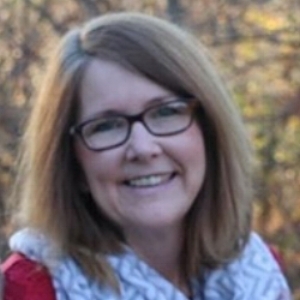 Jill Toth graduated from the University of Arkansas and attended Southwestern Seminary and Dallas Theological Seminary. She is a pastor’s wife and mother of three, and has had a passion for teaching the Bible since she was a teenager. Jill led a sermon research team for four years, and has taught at numerous retreats and churches in the last twenty-five years. Her primary responsibility with Orbie for Orphans is overseeing the writing of the curriculum and enhancing ways in which the material is presented. Amy Bennett graduated from Appalachian State University with a Bachelor's Degree in Communciation and Advertising and a minor in Business. She is a native of Western North Carolina and lives in the Candler area with her husband David and two sons, Aaron & Aiden. She has many years experience in office management and administration. The Bennetts are active in their local church and local boy scout troop. Amy is excited to be a part of this ministry that brings hope and healing to children in the US and abroad. Susan Brown, Executive assistant, has been associated with Orbie as a volunteer and event coordinator since 2011. Born in Waynesville NC, she moved to Asheville and began volunteering for several organizations and was on staff with a local church as event coordinator for 5yrs. Susan is passionate about the mission of Orbie and the opportunity to share God’s healing message ……until all have heard. Sean Gaffney is a writer, director, teacher and producer. He was the Story Administrator for Warner Bros. Features. He has authored over eighty produced projects including plays, television pilots, books, animation projects, and short films (including for Veggie Tales, SuperBook, and a winning Doritos Superbowl commercial). Sean is currently the director of the Script and Screenwriting MFA at Regent University. He received his BFA from Drake University, and his MFA from Columbia University. We believe the Bible to be the inerrant and inspired Word of God, and that it is sufficient for all of life’s issues. We believe that Jesus Christ is the only way of salvation and that for the salvation for lost and sinful people, repentance of sin, and faith in Christ results in regeneration by the Holy Spirit. God’s Heart and Ours. God is vested, deeply and personally, in the plight of the orphan—and in all who are destitute and defenseless (Dt 10:18; Ps 10:14; Ps 68:5-6, Is 58:5-12). He calls His people to join Him in this, sharing His passion for orphans and bringing to each child the love of Jesus Christ in both word and deed (Is 1:17; Jms 1:27; Mt 25:40). Responsive Love. To act upon God’s call to care for orphans is not merely a matter of duty or reaction to need. It is first a response to the Gospel: the loving Father who sought us, adopted us, and invites us to live as His sons and daughters (1 Jn 4:19; Eph 1:15; Gal 4:6). Commitment to the Whole Child. To meet only spiritual or only physical needs of an orphan is incomplete (1 Jn 3:17; Jms 2:16; Mk 8:36). Christian love seeks to address both. Even a cup of water given to quench the momentary thirst of a child is of eternal value (Mt 10:42). Yet of surpassing greatness is to know Jesus as Lord (Phil 3:8). So, just as in the ministry of Jesus, we should always hold together the meeting of physical need with the Gospel and our hope that every child will know God’s love deeply and personally. Priority of Family. God created the family as the ideal environment for every child, and the best outcome for an orphan is to know the love of a permanent family. Given the vast and complex needs facing orphans worldwide, this is not always possible. However, priority should always be placed on family-based solutions, and any long-term care should be as permanent, nurturing and close to family as is feasible for the particular situation. Role of Residential Care. Crisis situations sometimes demand residential care for children, including orphanages. To the fullest extent possible, however, residential care should be viewed as short-term and transitional. In general, the goal for each orphaned child should be to seek a solution as far as feasible along a “continuum” toward permanent family: large group homes, small group homes, foster care, kinship care, and, ultimately, full adoption whenever willing families can be found. Family Preservation. Whenever possible, children classified as “orphans” that have one surviving parent or other relatives should be helped to remain with family members. Efforts that enable families to stay together and prevent children from ending up in orphanages or on the streets are a vital part of response to the global orphan crisis. Central Role of Local Church. The local church in every nation possesses both the Christian mandate and many other resources needed to care for the world’s orphans in a nurturing, family-based environment. Every initiative to care for orphans should prioritize and honor the role of the local church, carefully pairing what foreign resources may be necessary with indigenous believers willing to open their hearts and homes to orphans in their community.